How can I install tire planters in the outdoor learning environment? 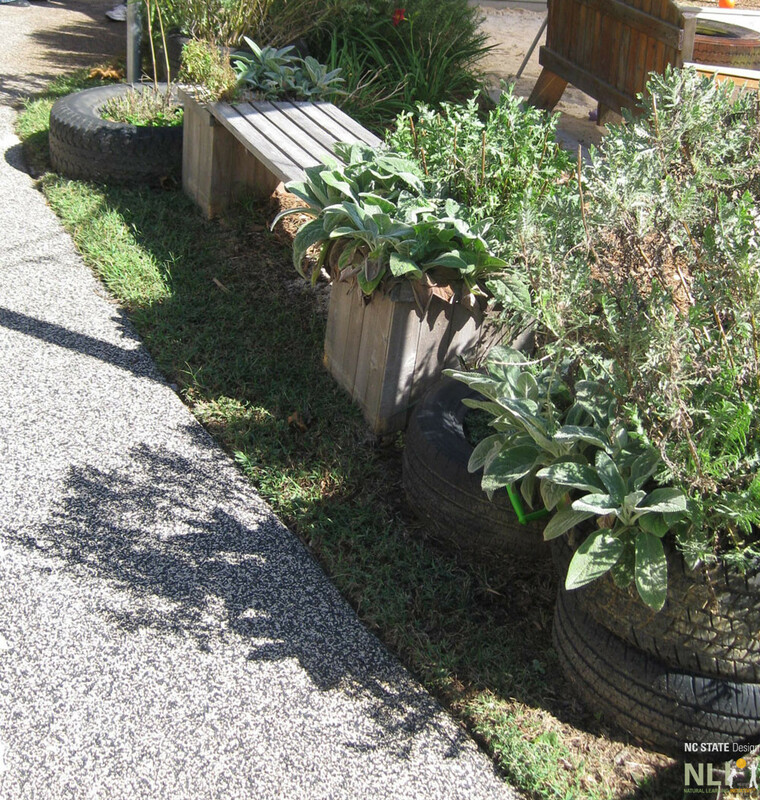 Tire planters are universally available and inexpensive, and are a great addition to any low-cost outdoor learning environment naturalization. Tires can be found inexpensively at almost any local car repair shop or tire store. If you stack more than one tire, fasten them together so they don’t slide apart, using bolts to connect the adjoining tire walls. Don’t plant edibles in tires because as the tires degrade the plants may absorb some of the chemicals from the rubber. Single and double tire planters used to edge a pathway. Before filling a double tire planter with soil, be sure to secure the tires together. Drill holes through the side walls of the tires and use a bolt, two washers and a nut to secure them together. For information about painting tire planters, check out this Green Desk post. 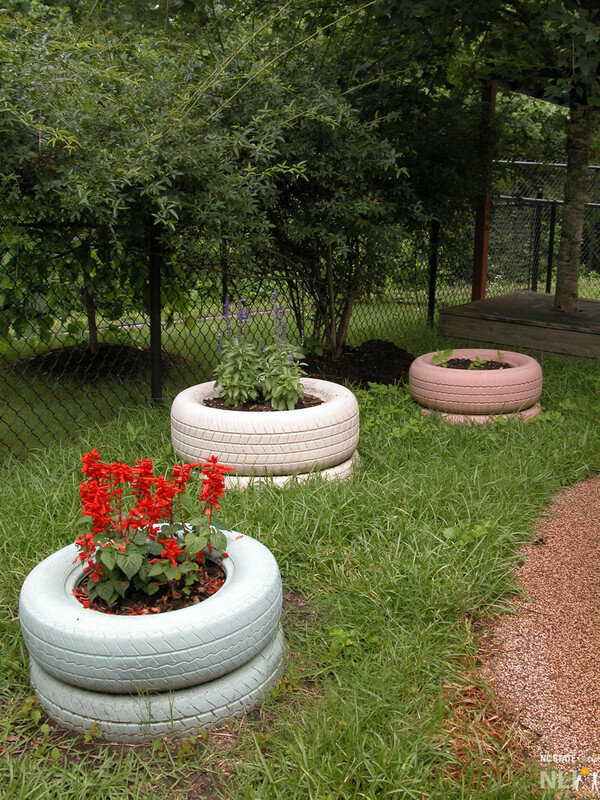 These painted tire planters keep plants cooler in the sun than if unpainted at Bright Horizons Family Solutions CDC. Tire planters bringing greenery next to a play structures. 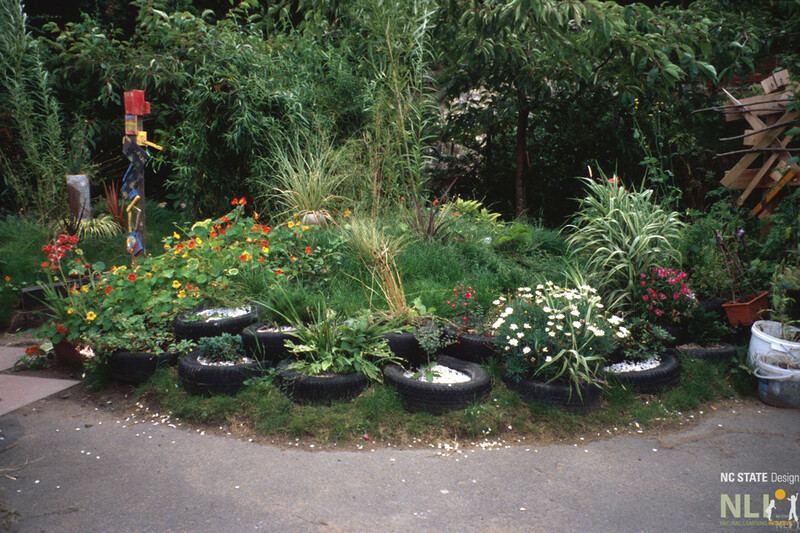 A mound of plantings with a tire planter foundation at the Yard, Scotland Yard Adventure Centre. 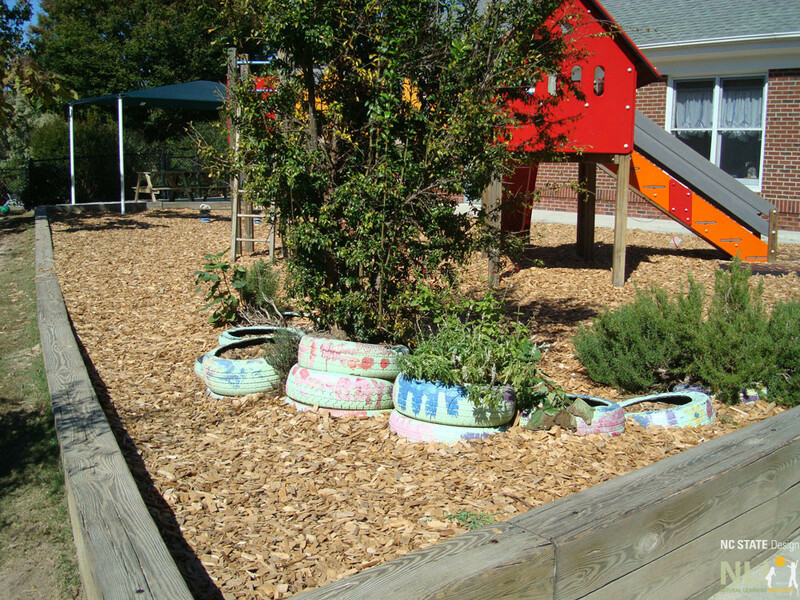 Lushly planted tire planters and wooden bench border a path in this toddler OLE at First Environments Early Learning Center.